Get ready! This one is going to be emotional. 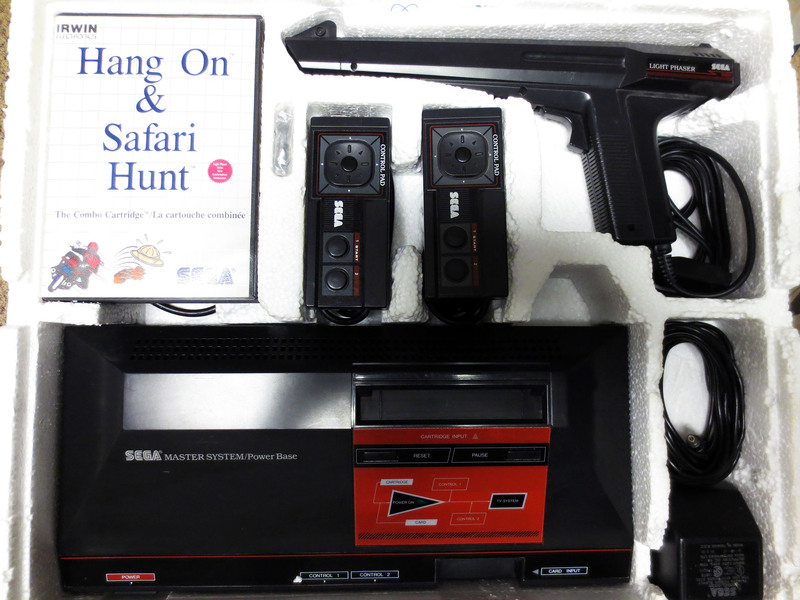 While browsing my local classifieds (Kijiji) I found someone selling a nice looking boxed Sega Master System. It was listed as complete and from the images included it really did look reasonable. 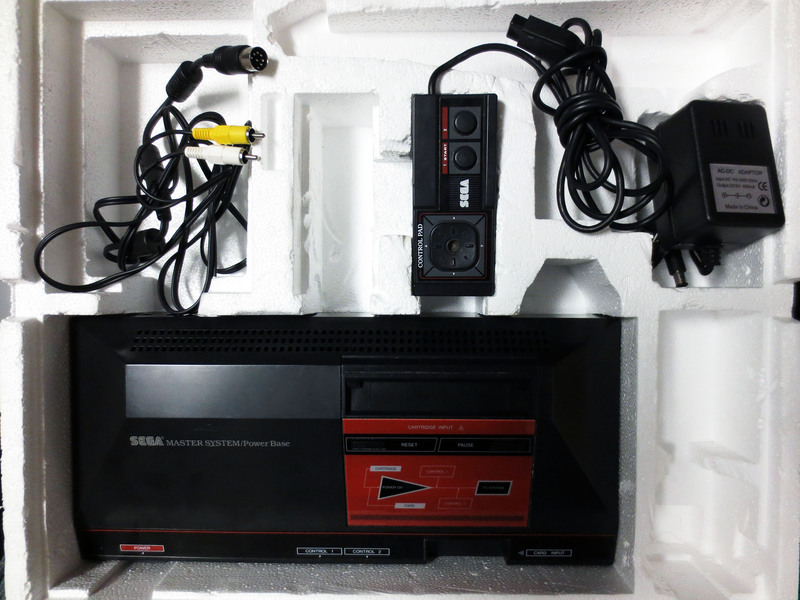 After exchanging a few emails we worked out a deal and for $105 CAD I got a boxed Sega Master System and two complete sports games for the Sega CD. 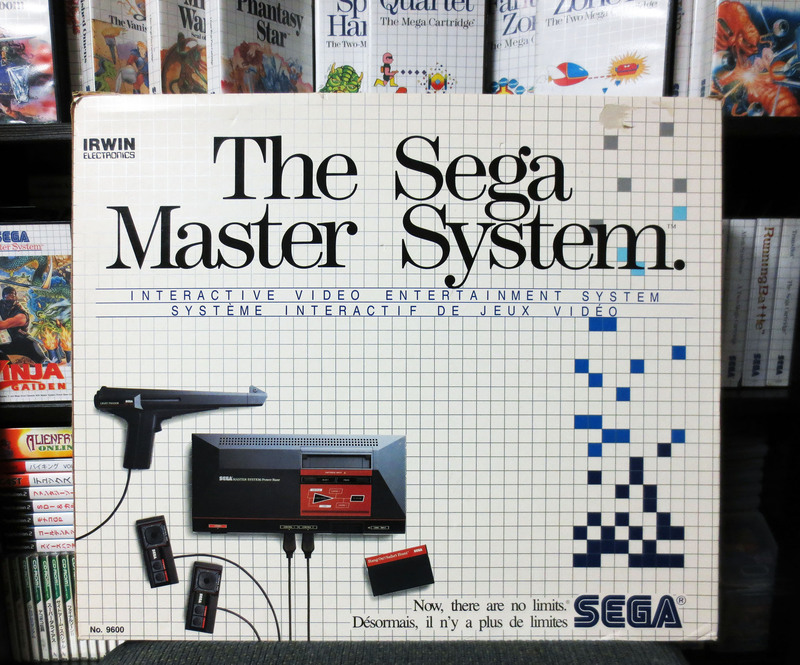 For simplicity, lets say this boxed Master System cost me $100 even. 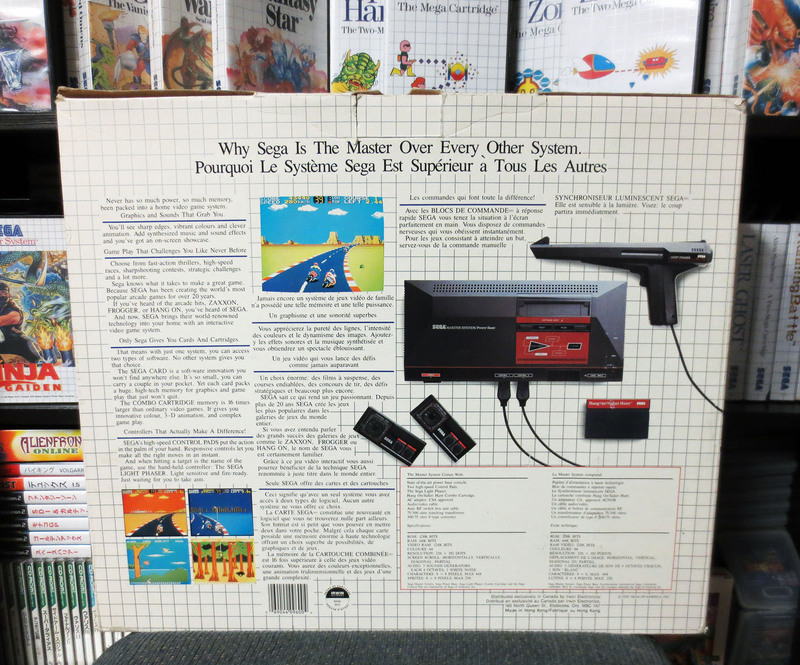 I’m typically not too interested in chasing variants but for the Sega Master System Model 1 I’m only aware of three significantly different versions that were released in Canada. So for a fair price it was fun getting one step closer to having all three. I didn’t have a chance to take a close look at the packing or the console itself until I got home. When I did, I discovered several things that really hurt the over all appearance. 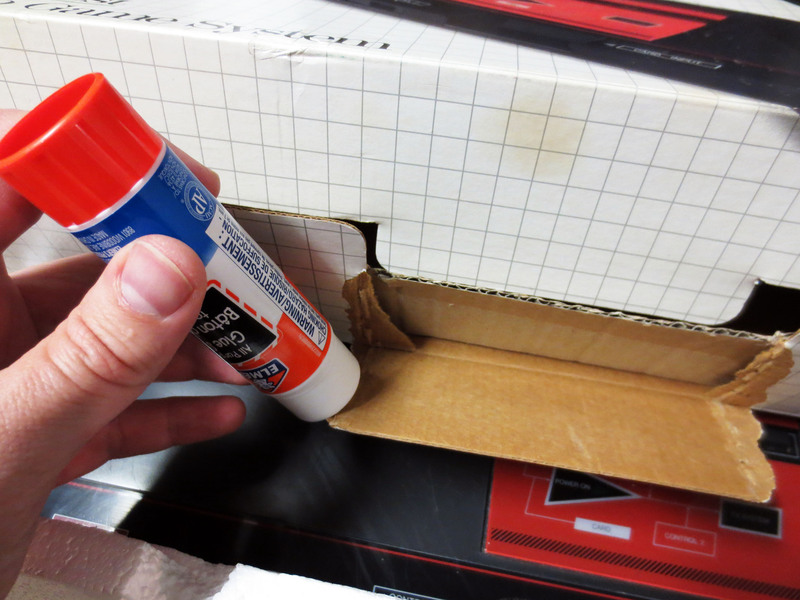 The outer paper layer of the box was pealing off the cardboard in several places and the bottom of the box had two large rips where at some point the box could no longer support the weight of it’s contents. There was also a small price tag right smack in the front and center of the box. At $9.99 someone (once upon a time) got a much better deal than I did! And although technically complete with the power base unit itself, joystick, 3rd party audio/video cable and 3rd party power cable it still felt less than whole. 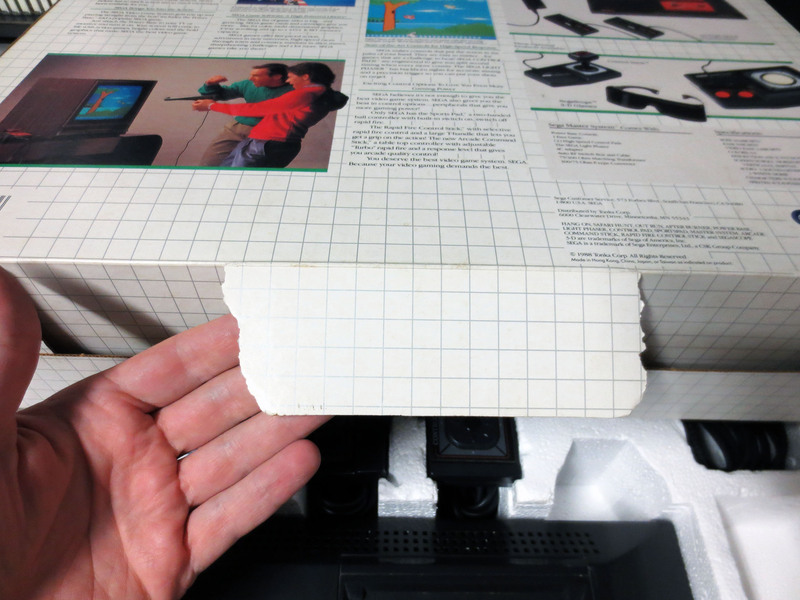 The good news about the paper pealing away from the cardboard was that is was still pretty well intact. There were no folds, wrinkles or rips. 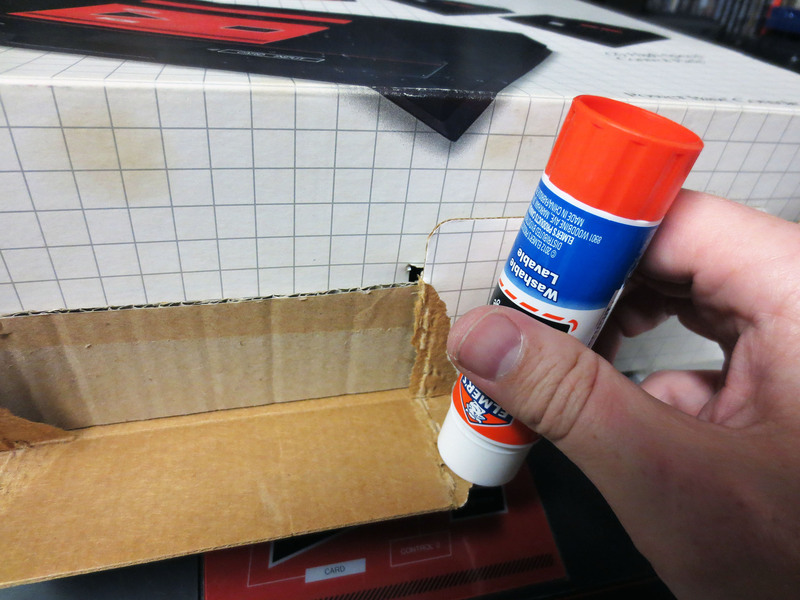 So I grabbed a glue stick and went to work. I even had an idea for the tears on the bottom of the box. I knew they couldn’t be glued and stand a chance of holding as they were so I cut out some cardboard and glued the new piece to the area surrounding the tears. All things considered I think it turned out very well. 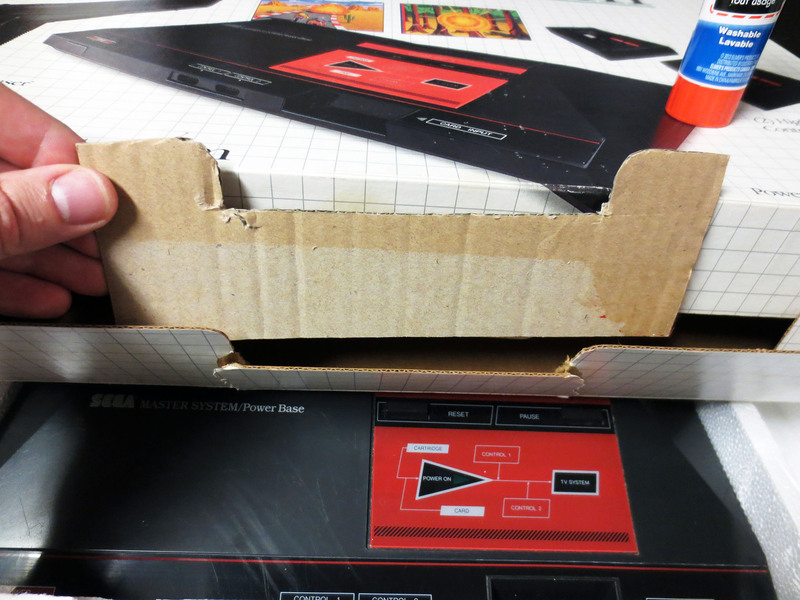 Despite seeming thin for cardboard the piece I used to mend the tears at the bottom of the box was too thick. In hind-sight I should have used something similar to the thickness of the sheet of cardboard that slips into a comic book bag. I ended up tearing the top layer off the added piece of cardboard and then flattening the exposed cardboard ridges to make it thinner. It’s not pretty but it’s entirely out of sight and holding the bottom together well. 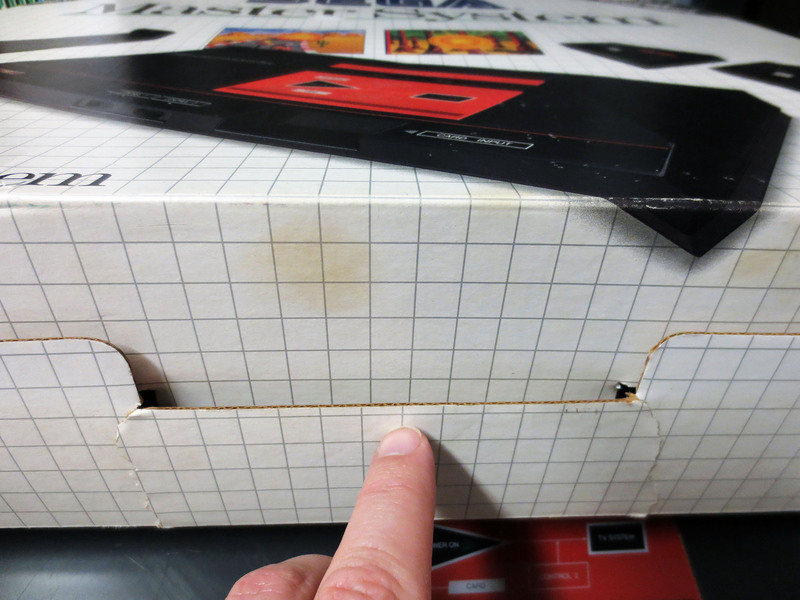 The condition of this box before any of the work I did was still pretty good considering the age. But this felt like a big win. After about 30-45 minutes of work I feel like it’s now looking really good. 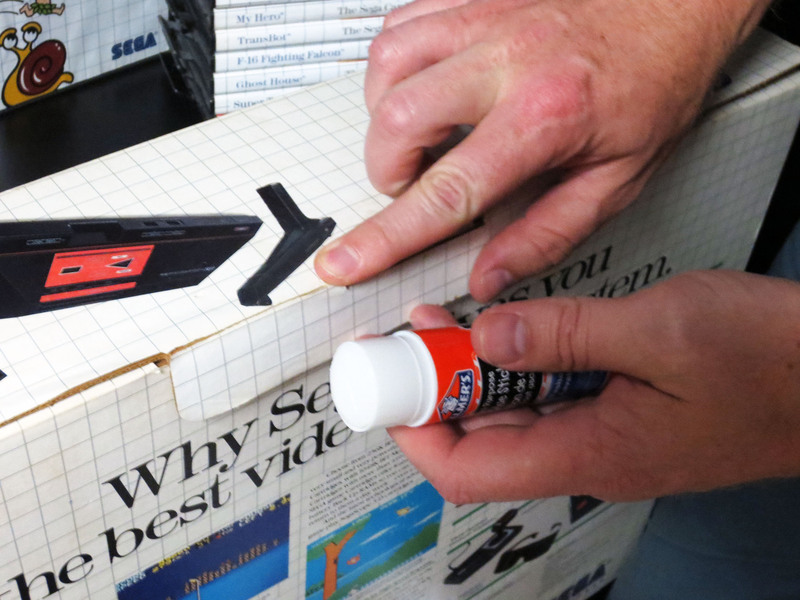 Surprisingly removing the price tag from the front of the box was really hard. I used a hair dryer on the sticker until the surface was good and hot but it still did not want to let go. I spent a long while pulling up the edges about one milometer at a time until it was fully removed. Alright! 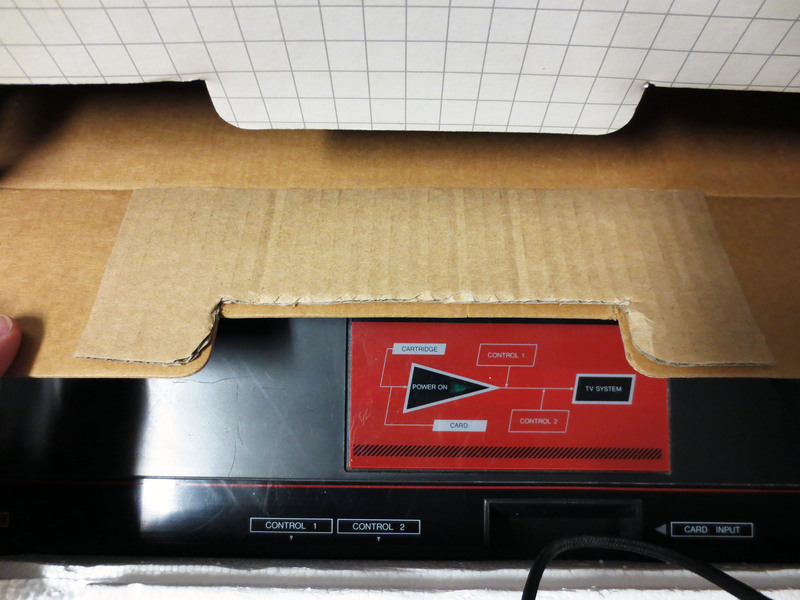 Time to play some Sega Master System with my new Sega Master System Power Base! It is after all ‘The Best Video Game System”. Says so right there on the box. I powered it up without any game inserted to see if it had the Snail Maze game built in or Hang-on and Safari Hunt. Turns out this unit is a bit older and has the Snail Maze game built in. 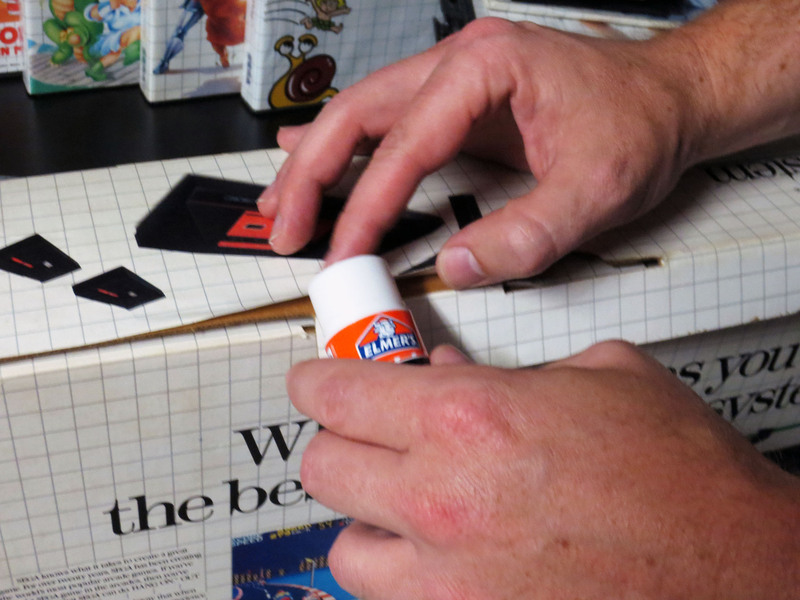 Back in the day when the Master System was new the Snail Maze game was an Easter egg and was not advertised. This was pre-Internet and there weren’t a lot of ways to find out about stuff like this. When a friend told me to power on my Master System and hold ‘Up+Button 1+Button 2’ during the SEGA logo splash screen at boot up to find a hidden game I did not believe it. Yet there it was. It was a real ‘Wow!’ moment. 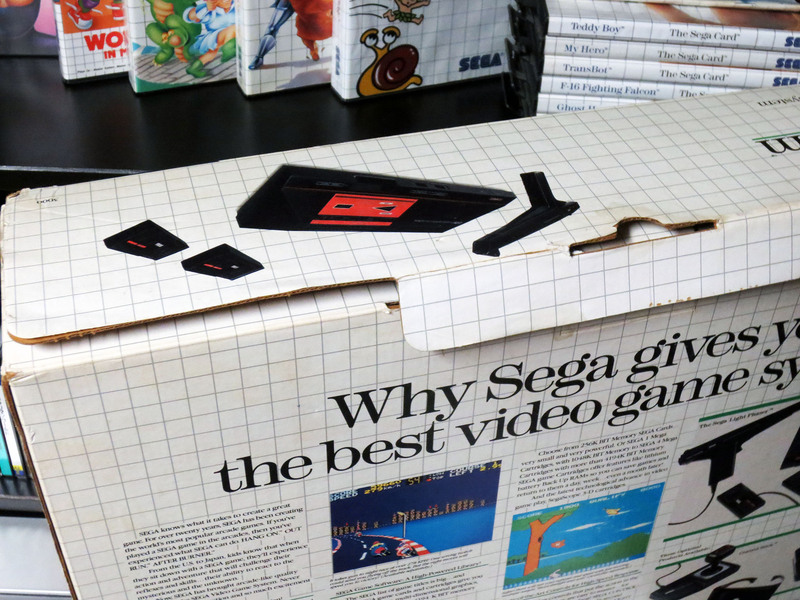 Sega was really smart to keep it secret. 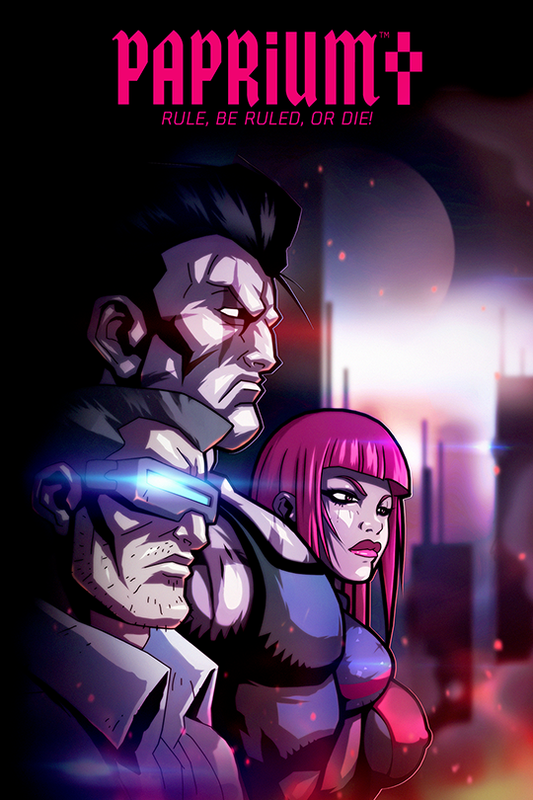 It’s a really simplistic game and doesn’t merit a purchase on it’s own but the surprise of it made it feel like a really significant bonus. I did not stop playing the Snail Maze game until I had beaten it. 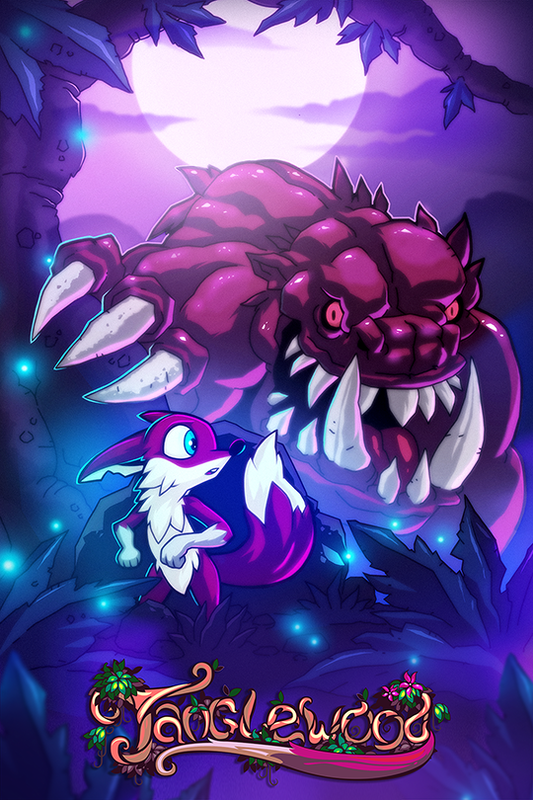 It is a fun game and you will need a lot of attempts before you’ll be able to clear all 12 stages. It felt awesome when I finally beat it. 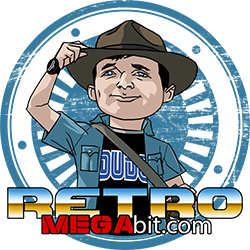 It was fun and free and it was another big win for the little Sega Dude! 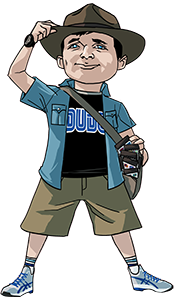 Flash forward to 2017 and the Sega Dude is attacking the Snail Maze again! That’s right, it’s still fun and challenging. It had been a very long time since my last play through and I was navigating more on instinct than memory. The tiny Snail sprite was the embodiment of pure fury under my control! Then at the final moment of round 11 with only one more maze to go… my new Sega Master System Power Base died… With a pop and a crackle my TV went dark and fury fell to anguish. I tried powering it back on a few times and nothing happened. In my inexperience with electronics I headed over to SMSpower.org for some help. The first thing that was suggested to me was to replace the capacitors. 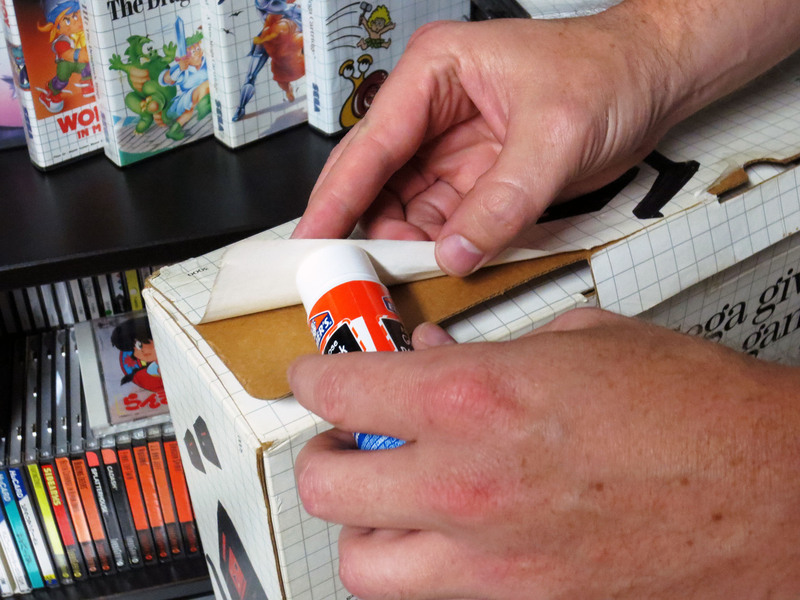 If you’re into the Retro Video Game scene you’ve likely heard of the term ‘cap kit’. 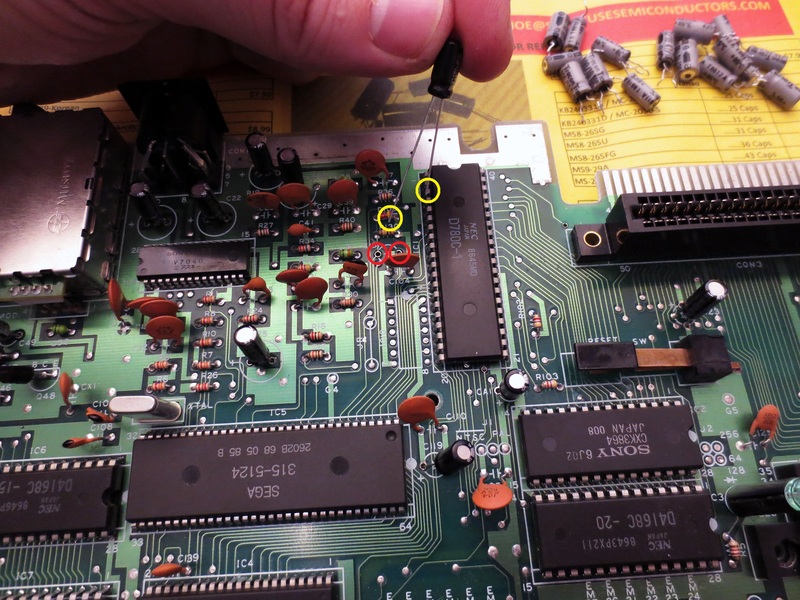 Which refers to buying the required set of capacitors to replace the old ones from a particular Printed Circuit Board (in this case the PCB for a Sega Master System). 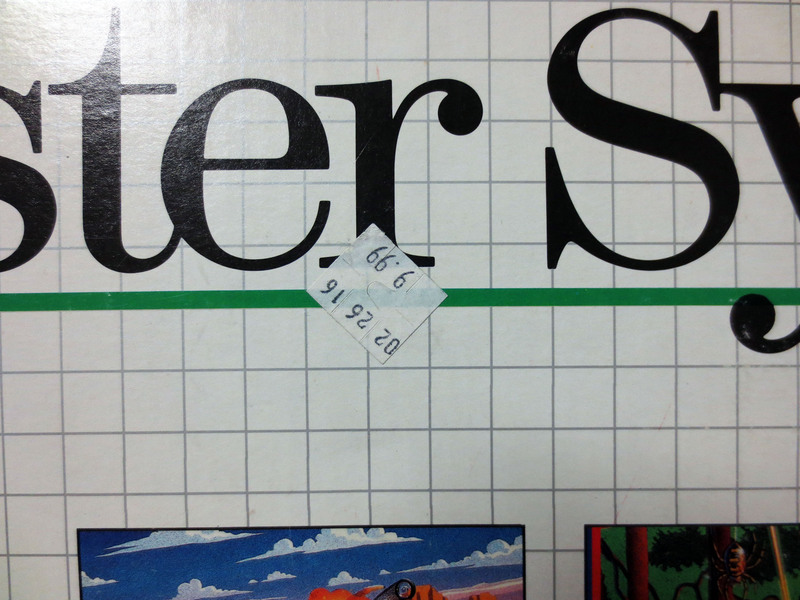 So I purchased a Sega Master System cap kit from Console5 for $2.95 USD. 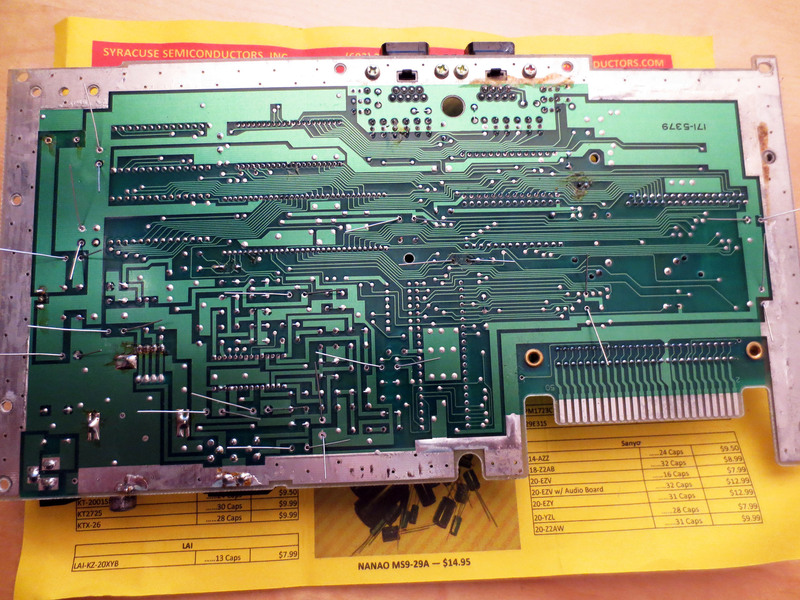 After replacing all 16 capacitors my Master System would still not turn on. 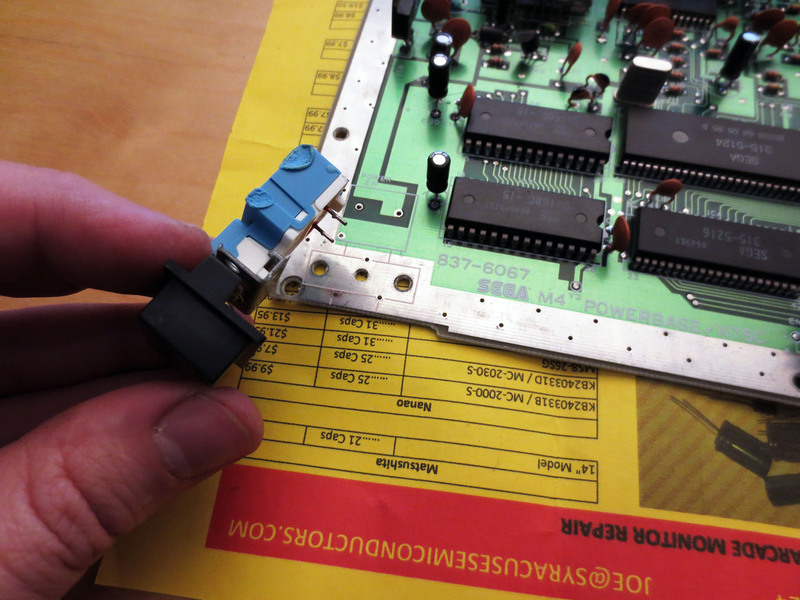 With more help form the SMSPower forums I then replaced the voltage regulator (also purchased from Console5). In the first picture below I’ve circled all 16 capacitors in red and on the far left circled in purple is the voltage regulator. The first picture is actually the finished project with all the new components that I installed. I still feel new to soldiering so I was more focused on the work than documenting it. 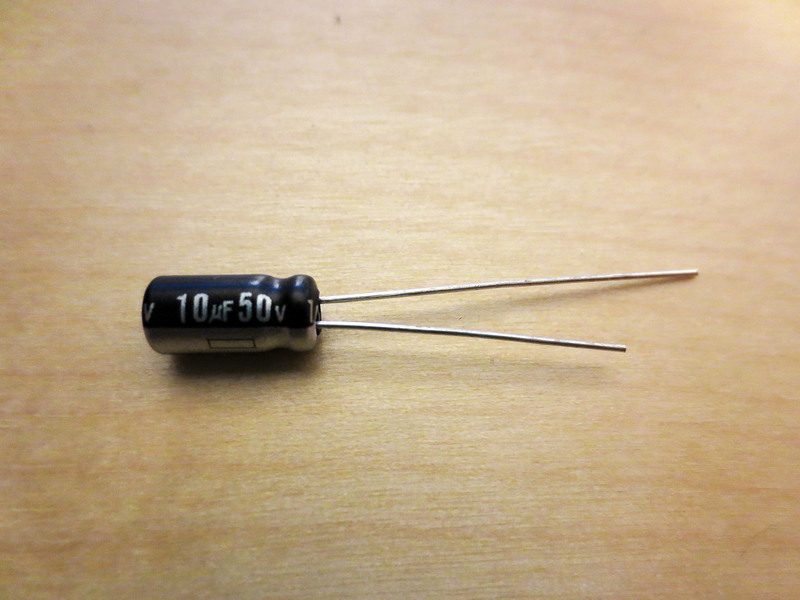 The second image above is a typically capacitor. The long leg being positive and the short leg being negative. 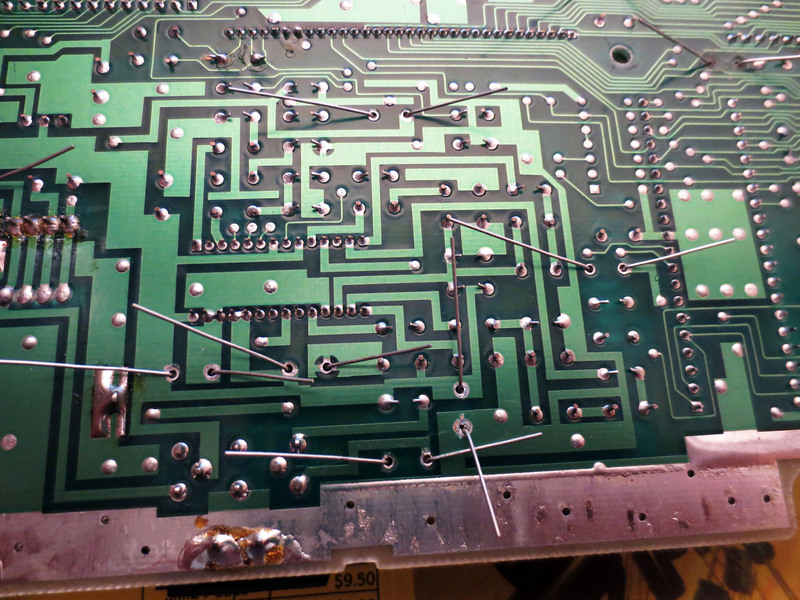 When placing a capacitor into a PCB it’s very important to get the polarity right. 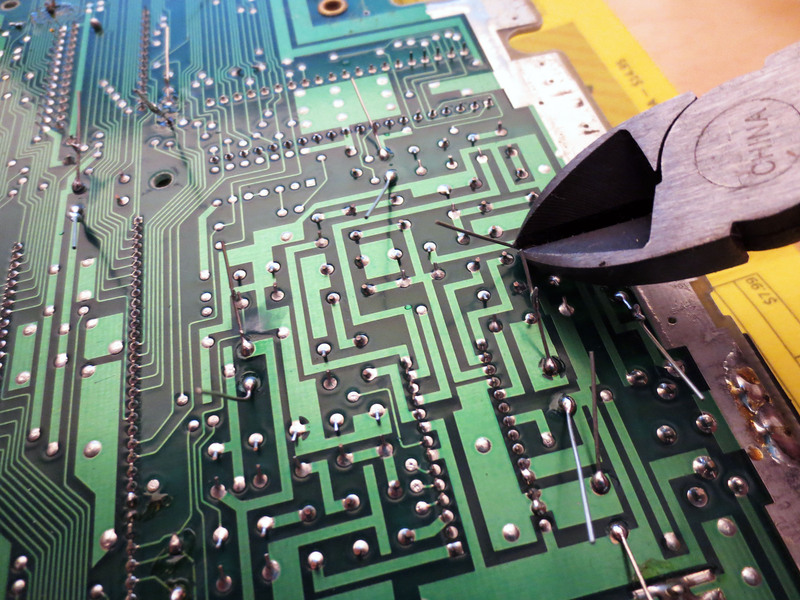 The holes on the PCB where the capacitor is to be place will indicate which is which with a + and – symbol. I’ve circled these details in the third image. The only other consideration is to be sure that the capacitor you’re installing is appropriate for replacing the old one. The benefit of purchasing a cap kit is that someone else has done this part for you. The remaining images above show caps being installed and then soldered into place. Once the soldering is done I cut off the excess legs and I was done. In order to get access to one particular capacitor I had to remove (de-solder) the power switch and then re-install it once the new cap was in place. If you look close at the blue plastic on the power switch you can see where I accidentally melted part of it. Fortunately it’s just cosmetic damage and the switch is fine. In the end it turned out that it was the voltage regulator that had died. Once it was replaced my SMS would turn on again. I didn’t have to replace all of the capacitors but I am glad I did. When comparing this SMS with my other one I can see a distinct difference between the two. My newly repaired SMS shows a brighter and sharper image compared to the other SMS with it’s old capacitors. By chance I was recording my gameplay when my SMS died. Not only was I able to capture the distorted video quality but also the actual moment when my poor console died. What the video doesn’t show very well is how much better the the visual quality is after the repair. Somewhere during recording via composite and re-encoding and playback on non-CRT displays the fine details are lost. But the distortions were captured well in the first recording. With this Master System working again I went through my box of miscellaneous things and I found a few items to make it more complete. Now it has the Power Base, Hang On & Safari Hunt, RF AV Cable (hidden under the game), two control pads and a Light Phaser. 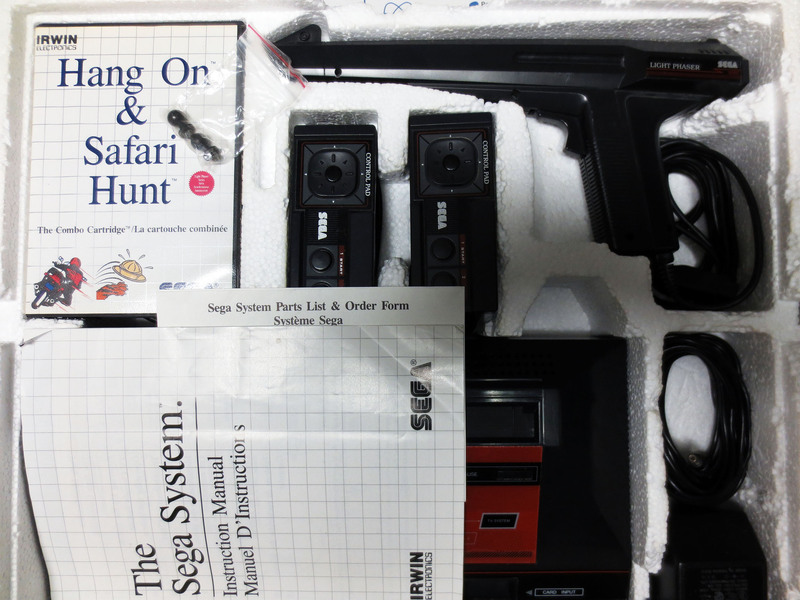 I just need an original power cable***, a manual for Hang On & Safari Hunt* and a manual for the Master System** itself. Eventually those things will come along and I’ll pick them up when I can. 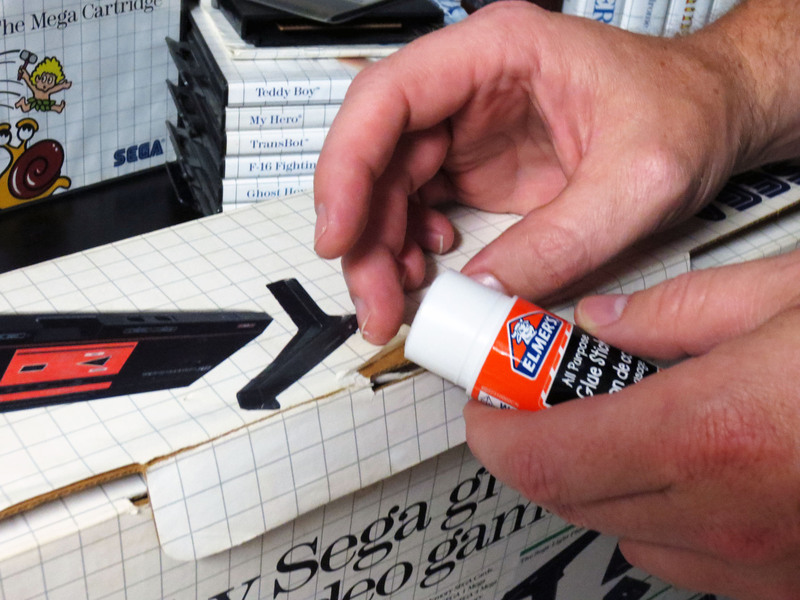 *Update: I was able get a free Sega Master System manual from my buddy Flavio. All of Flavio, Nintendo Joe and myself were playing some outstanding Genesis games like Vapor Trail, Golden Axe II, Forgotten Worlds and Eliminate Down while munching on pizza when I noticed a SMS manual sitting right next to us. 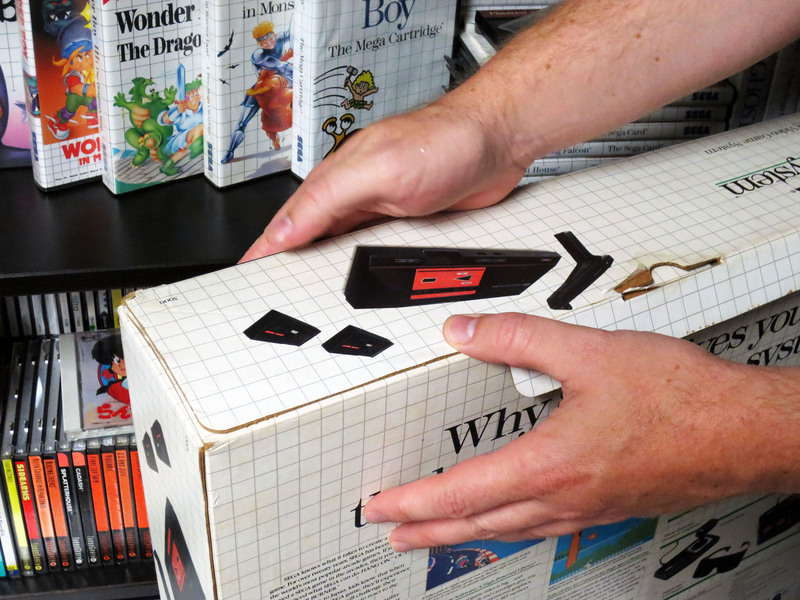 We checked Flavio’s two boxed Master System’s and they were already complete with manual so this spare became mine. Thanks Flavio! **Update 2017-11-6: I now have a manual for Hang On & Safari Hunt. ***Update 2018-01-29: I managed to find an original SMS Power Cable from my local classifieds (Kijiji). 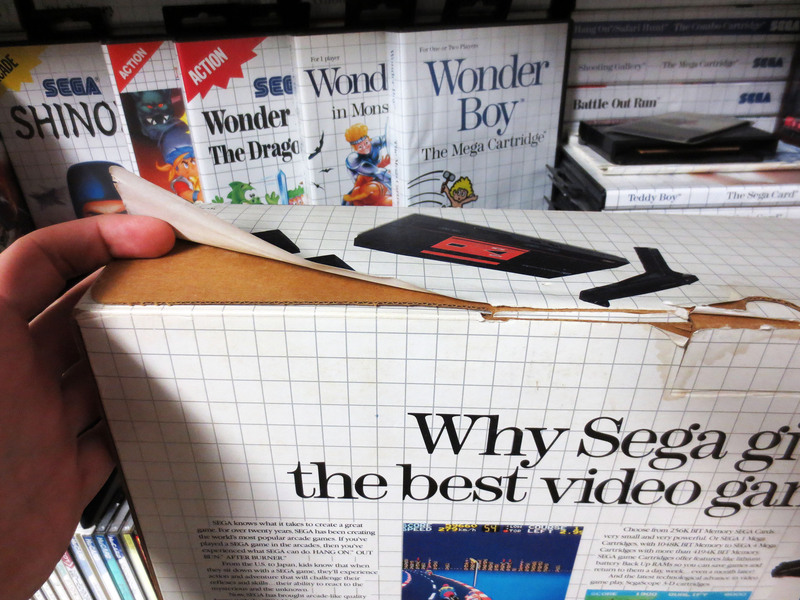 The other boxed Sega Master System below I purchased in the early 2000’s at a hockshop. I’ve forgotten what it cost me. It is complete and also in very good shape. It even has the two thumb sticks that screw into the center of the joystick D-Pad. 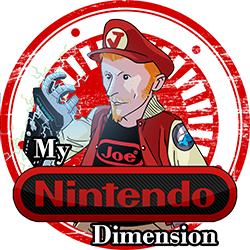 The idea was to make the joystick feel more arcade like. They don’t work well at all and aren’t worth using but I love that I have them for this set. 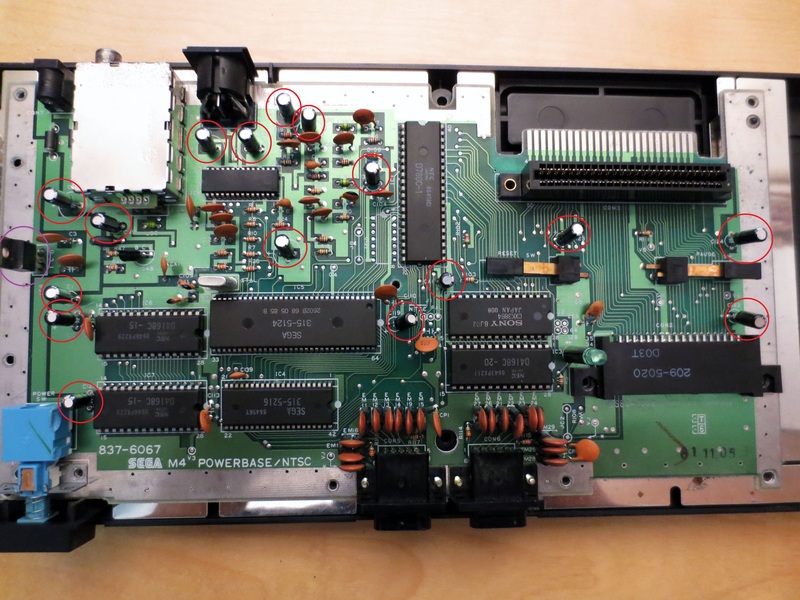 I’m already planning on replacing the capacitors on my other Master System Power Base just because of the difference in visual quality that I can see first hand between the two of them. After this experience I’m no longer worried about these old consoles dying. With a bit of work and low cost we can bring them back to life and make them function like new again.